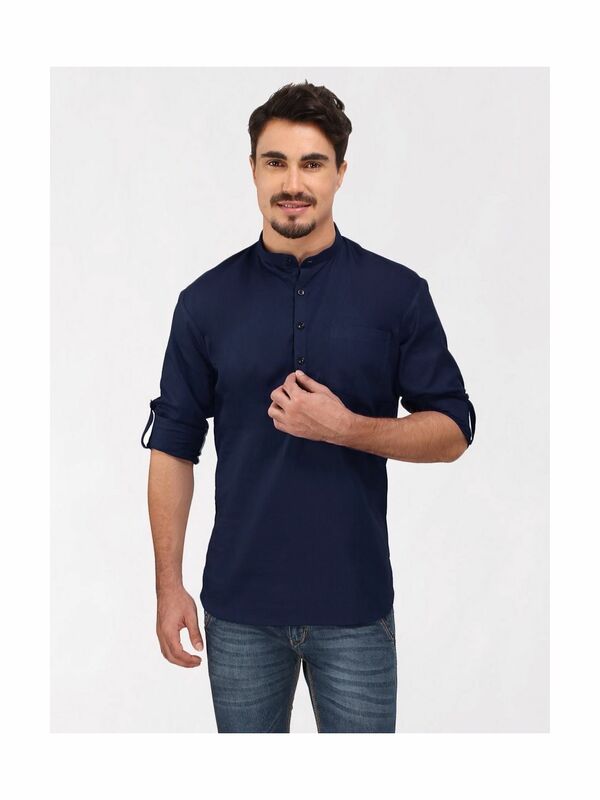 A Fusion between a Kurta and a Shirt this Men's Short Kurta made from Linen Cotton. 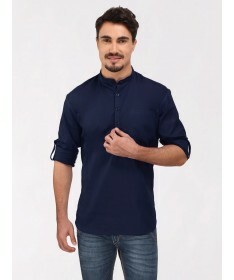 The Short Kurta is made in classic Slim Fit Style with Roll Up Sleeves for maximum comfort and Style. Best worn over Denim Jeans but can also be worn over Trousers or Linen Pants. Roll Up Sleeves with Shirt Style Cuffs.